In a new report, the Internal Displacement Monitoring Centre (IDMC) examines the financial costs of internal displacement across major crises around the world, raising awareness of the importance of preventing future displacement as well as responding to such situations efficiently. “We have long understood the devastating impact internal displacement can have on the safety and wellbeing of people affected by conflict, violence, disasters and development projects,” said IDMC’s Director Alexandra Bilak. “But internal displacement also places a heavy burden on the economy, by limiting people’s ability to work and generating specific needs that must be paid for by those affected, their hosts, governments or aid providers,” she added. Looking at the economic costs of the consequences of internal displacement on key needs and services such as health, shelter, and income in eight countries, IDMC found that the average cost per internally displaced persons (IDPs) was 310 dollars. With 40 million displaced around the world, the global financial impact of displacement reaches 13 billion dollars annually. The report also notes that the impacts of internal displacement are far higher in low-income countries, partially due the lack of capacity to minimise impacts of crises. The Central African Republic (CAR) is one such low-income country, with over 70 percent of the country estimated to be living in poverty. CAR has seen decades of instability and violence, and its most recently conflict has resulted in an ongoing, dire humanitarian crisis and the displacement of over 1 million people, more than half of whom have stayed within the country’s borders. According to the United Nations Children’s Fund (UNICEF), one in four children is either displaced or a refugee. IDMC calculated that the economic impacts of internal displacement in the central African country between 2013 and 2017 total 950 million dollars. This represents 230 million dollars annually, equivalent to 11 percent of the country’s pre-crisis gross domestic product (GDP). Almost 40 percent of the total cost comes from the impacts of displacement on nutrition and food security. Approximately two million people are severely food insecure in the country, while UNICEF projects that over 43,000 children under the age of five will face severe acute malnutrition which, if left untreated, is fatal. Combined with the additional costs associated with providing healthcare to IDPs in emergency settings, health accounts for half of the economic impact of the Central African Republic displacement crisis. In Somalia, drought alone cost the country 500 million dollars annually between 2017 and 2018, representing almost five percent of the country’s pre-crisis GDP. The country-wide drought lead to 892,000 new displacements in the country in 2017. As the drought left rural communities unable to cultivate and live off their lands, the highest economic impact is associated to the provision of food assistance to IDPs. IDMC also found high impacts on housing and infrastructure as the drought drove many Somalis to urban and peri-urban areas in search of new sources of income. However, this further stretched the already limited capacity of municipalities to provide basic services such as water and sanitation. 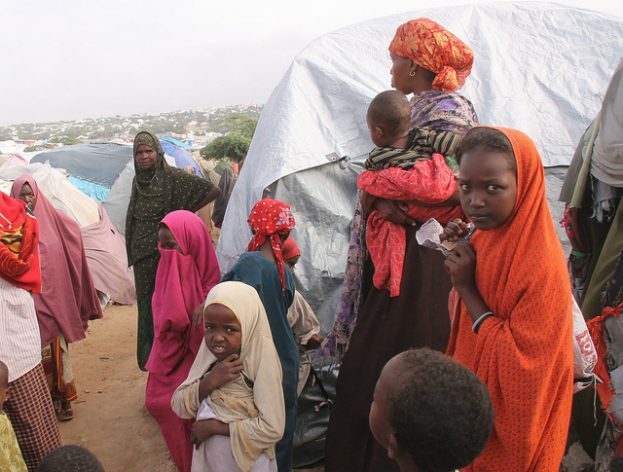 The city of Mogadishu now hosts more than 600,000 IDPs—one-third of the total figure of IDPs in the East African nation. “This new research clearly shows the risk internal displacement represents, not only for human rights and security but also for national development,” said Bilak. By identifying the areas in which internal displacement has the highest cost can help governments and aid providers target their interventions, the report notes. However, more and better data is needed. “More data and analysis are needed to further identify where the financial losses are greatest and help governments and aid providers prevent future displacement, as well as respond more efficiently to existing crises,” Bilak concluded.